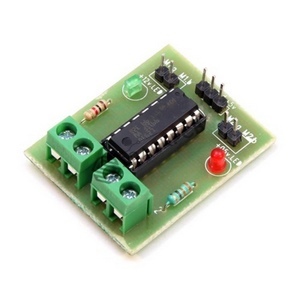 L293D Motor Driver Module is an expansion board or driver module of L293D. L293D IC is a dual half bridge driver IC, so the module drives the motor in any direction and speed. It is compatible with any controllers and processors like Arduino, AVR, PIC etc and with easy interface. It makes easy to make project rather than using an IC.